1. Heat oven to 400. Line a 12-muffin pan with paper muffin cups. 2. Rinse and drain raspberries. In a mixing bowl, combine the flour, sugar, baking powder, and salt. In another smaller bowl, whisk egg with the milk. Add the egg and milk mixture to the dry mixture along with the melted butter. Mix lightly to combine, just until ingredients are moistened. The batter will be somewhat lumpy. Sprinkle raspberries and walnuts over the batter and gently fold into the batter. Spoon into the prepared muffin pans. 3. Bake for 18 to 21 minutes, until a cake tester or pick comes out clean when inserted into the center of a muffin. Enjoy! 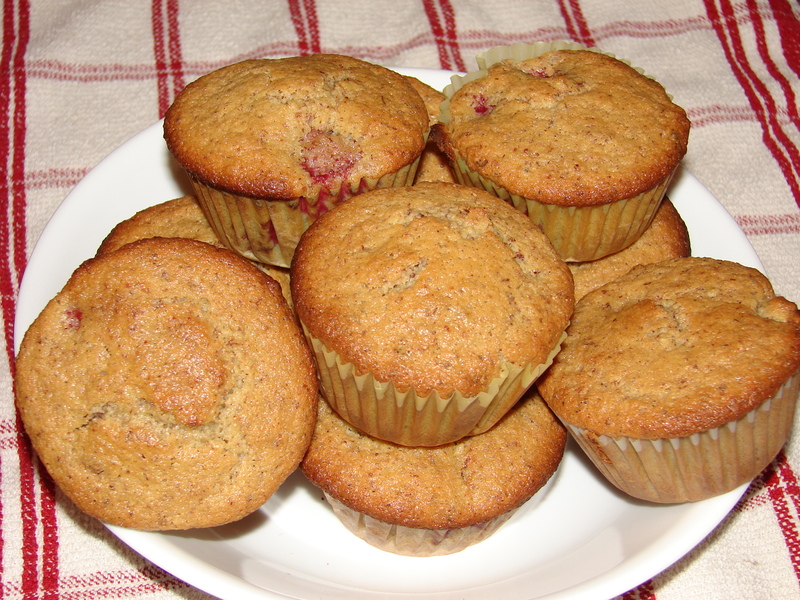 Posted in Yummy in the Tummy and tagged baking, breakfast, cup coconut milk, cup walnuts, Dairy Free Recipe, dessert, food, gluten free recipe, Grandmother Musings, homemade, muffins, paper muffin, postaday, Raspberry, Raspberry Walnut Muffins Gluten free Dairy free, recipe. Bookmark the permalink. Looks great. Think I will try this one also. Thanks for sharing. Thank you! I love to bake and share, but these days so many can’t eat what I usually would make. God bless you! Thanks so much for sharing this 🙂 They look delicious! Thank you so much for visited me. I wish I could reach right into the computer and grab one for breakfast! those muffins look so yummy – making my mouth water! You’re welcome Jaime… you deserved this kind of recognition. Your blog is AWESOME! What a great recipe! I’m gonna try and do this, this weekend!